"Pompeo: Our battle against the ICE continues"
"the Ambiguity and the controversy around the U.S. withdrawal of troops from Syria have been many." "Now declares foreign minister Mike Pompeo's allies that Washington's fight against member IS continuing." 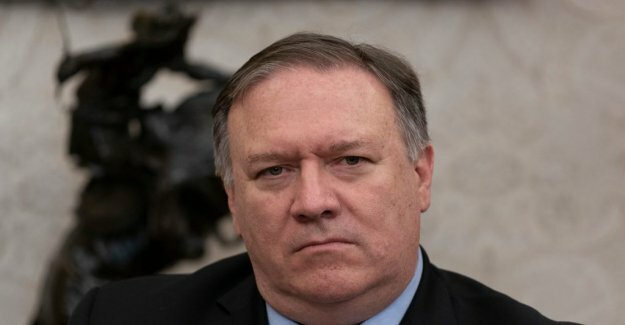 "Pompeo spoke at the opening of a meeting in Washington, where the foreign ministers or other high-level representatives of the 79 countries included in the coalition against IS involved. Sweden's foreign minister Margot Wallström is in place." "President Donald Trump's announcement in december that the ICE was defeated in Syria, received the minister of defense of Jim Mattis to step down and it has been followed by several unclear statements about what really is happening." "In Washington, said Pompeo, as well as several high american soldiers and politicians have done, that IS still a plague in Syria and Iraq. He also stressed that the united states needs its allies ' help in the continuation of the struggle."